We all love perfumes and most of us wear them every single day. They can improve our moods, complete our outfits and also remind us of the ones we love and care about. In celebration of this years valentines day I am sharing with you my favourite male fragrances ,they can also be a perfect gift for that special person in your life. It's a feel good fragrance with more of a summer feel. It's sweet and fruity and just captures your attention from the get go. Fresh notes: lemon, green apple and Juniper. This is by far (in my opinion) one of the best male fragrance. 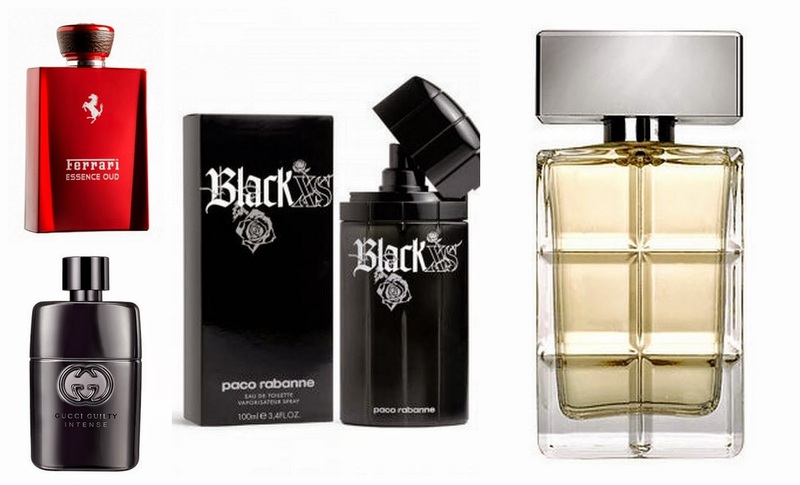 It is very masculine and has more of a woody fragrance with a bit of sweet fruity notes. A lil goes a long way and it can stay on the whole day. Top notes : lemon notes, sage, rose wood, black amber and more. It is an intense and strong fragrance. Notes: lemon, coriander and lavender. 1st of all I love the bottle, it's a bright red bottle with the Ferrari logo. The bottle is awesome and what's inside is even more impressive. I love this fragrance but you should be used to strong fragrances if you want to use it, it's a very strong and powerful fragrance that goes a long way. Notes : cumin, saffron , olibanum and elimi resin. Which fragrance is your favourite?